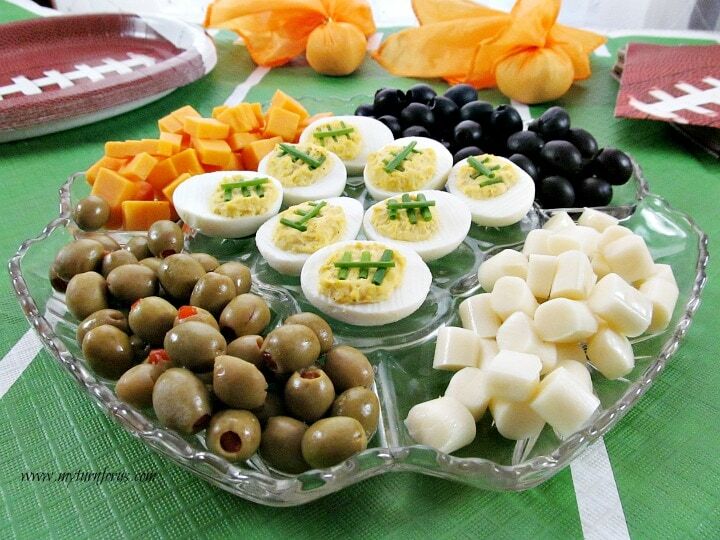 Easy Jalapeño cheese dip with four ingredients is a jalapeño popper dip crockpot. 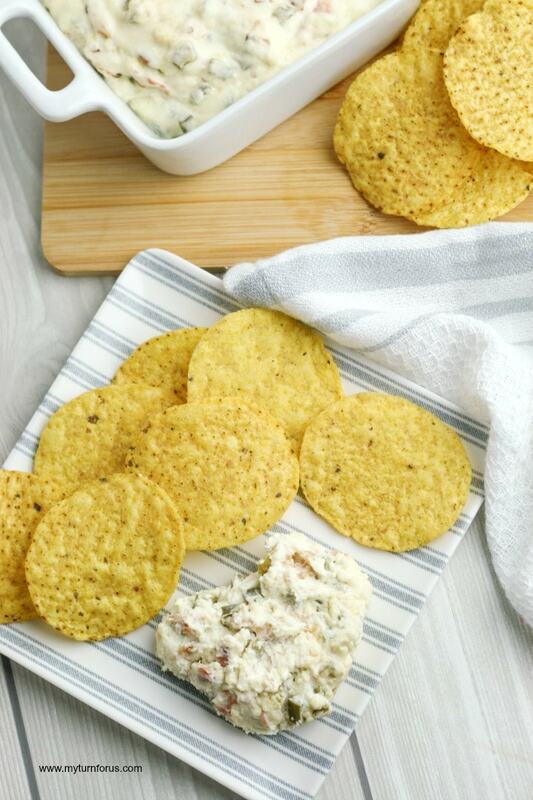 This jalapeño cream cheese dip is our best jalapeño dip or jalapeño cheese dip recipe. 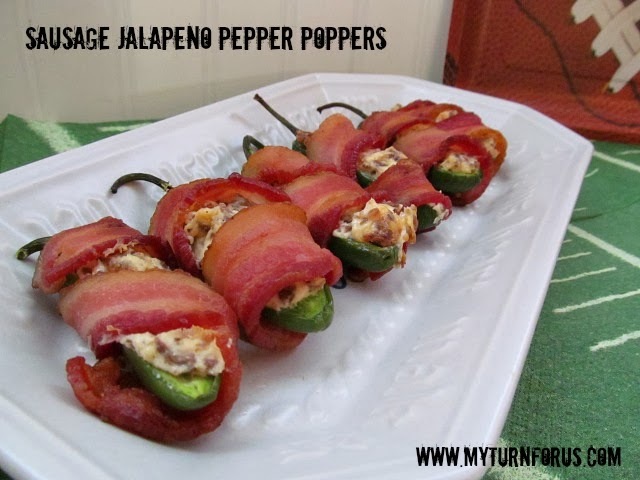 Do you love stuffed jalapeno poppers but don’t have the patience or time to make them? And do you wish to have that flavor but with less work? Then we have a solution for you with this jalapeño cream cheese bacon dip! 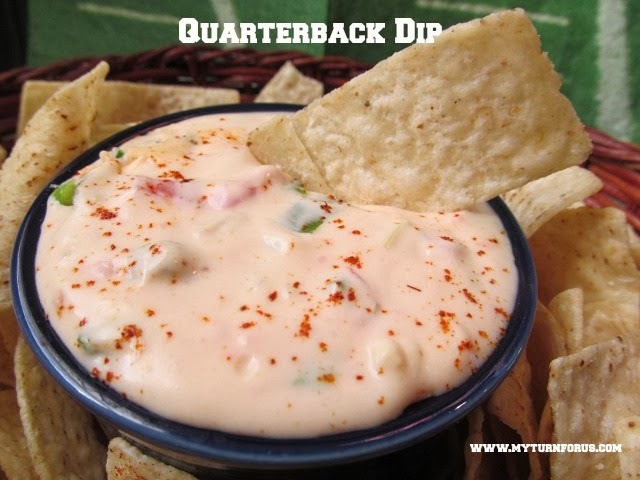 This recipe for jalapeño dip consists of real cheese, cooked bacon, and fresh jalapeños. 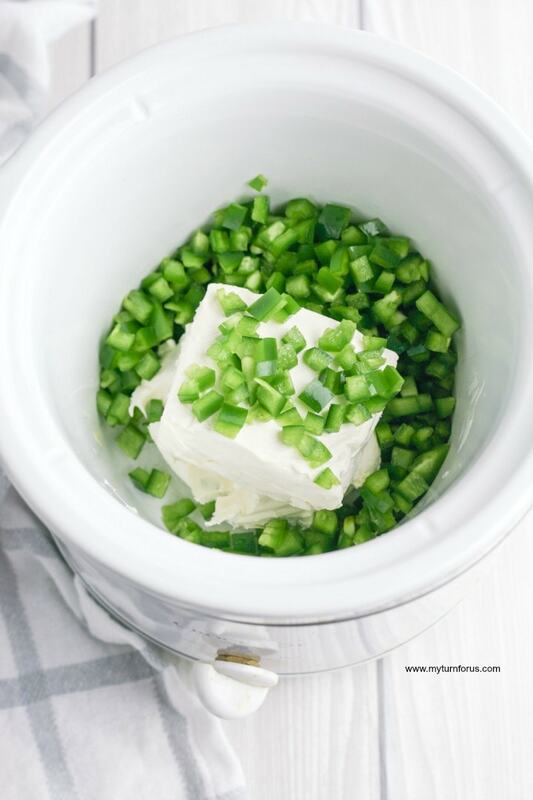 You can make this jalapeño popper dip crockpot style by using only those four ingredients and letting the crock pot do the work. 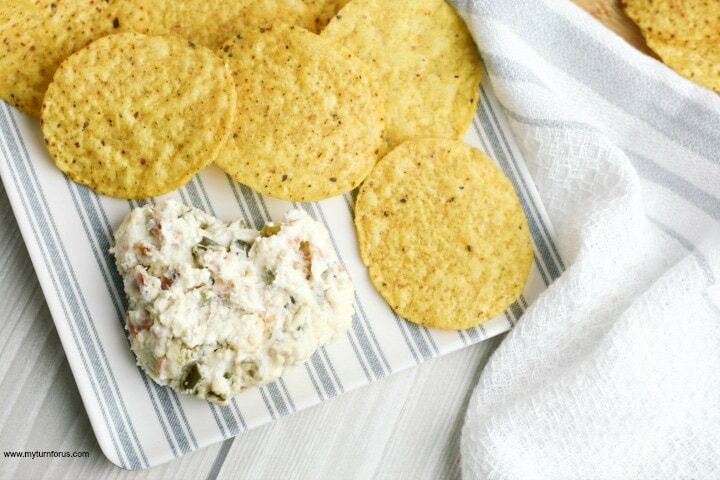 And serve this jalapeño dip with tortilla chips for a great game day snack or party appetizer. This jalapeño cheese dip has all the flavors of jalapeño poppers, and it is so easy to make. And we are sure it will be one of your favorite dips. 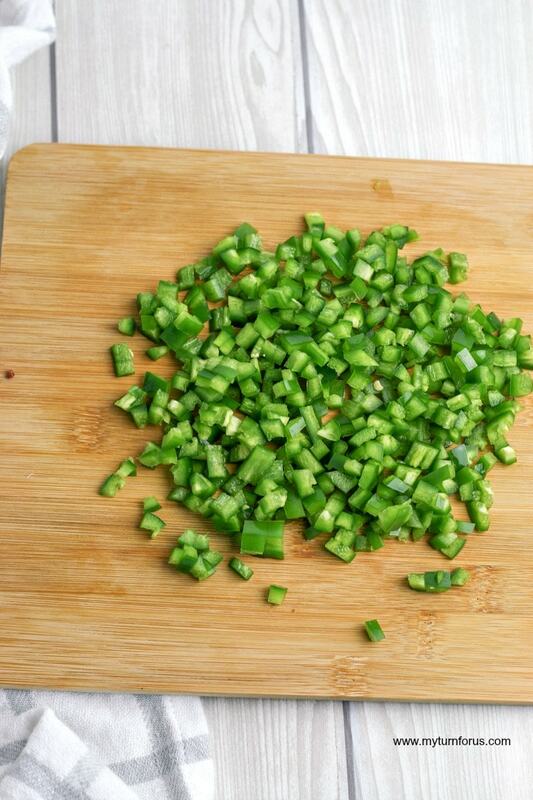 Start your jalapeño cheese dip by seeding and removing the membranes of three jalapeños. It is easier to do this with a jalapeño corer. It’s an inexpensive kitchen gadget that is a must have when dealing with jalapeños. First, slice off the stem and use the corer to clean out the inside of the jalapeño and then dice the peppers into small pieces, set aside. 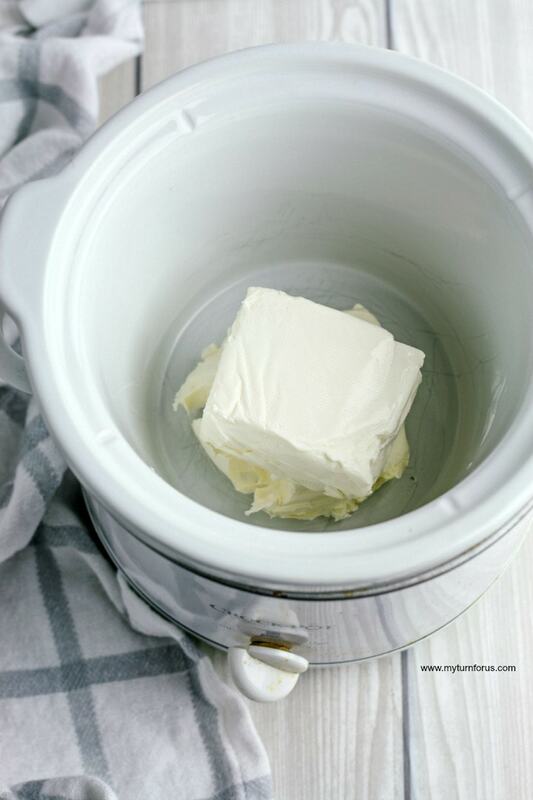 Pull out your crock pot then cut 8 oz cream cheese in half and place both pieces in the bowl of a crockpot. Add the diced jalapeños to the crockpot. Remember you can increase or decrease the number of jalapeños according to your desired heat level. In a medium skillet cook five slices of bacon crisp on medium heat until crisp. Remove and allow to drain on a paper towel lined plate. Crumble into little pieces and add to the crockpot. 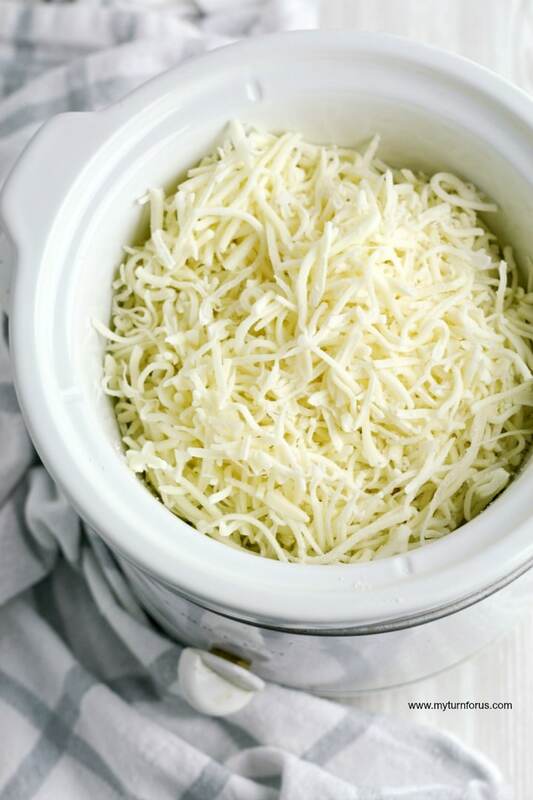 Finish this jalapeño dip by grating 2 cups of mozzarella cheese and adding on top of the other ingredients in the crockpot. Cook on low for 2 hours, stirring the jalapeño dip halfway through the cooking time. 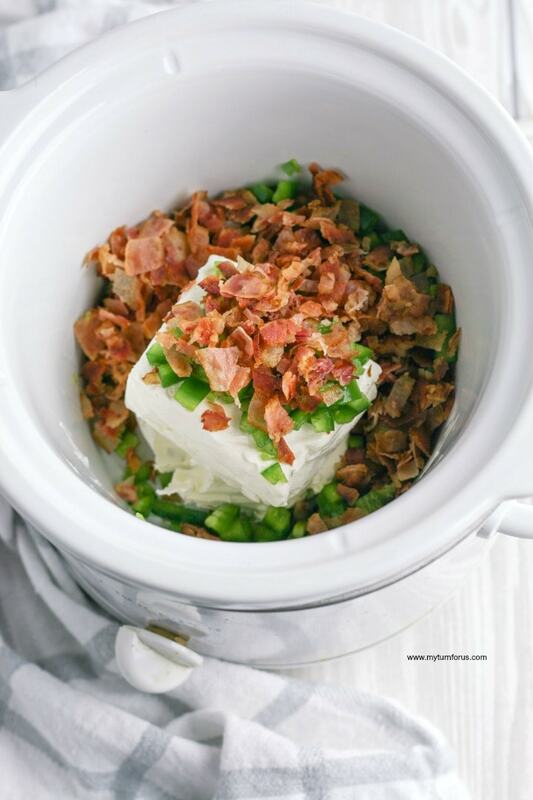 After making this jalapeño cream cheese bacon dip in a crockpot then serve it with tortilla chips. We hope you enjoy this easy jalapeño popper dip. 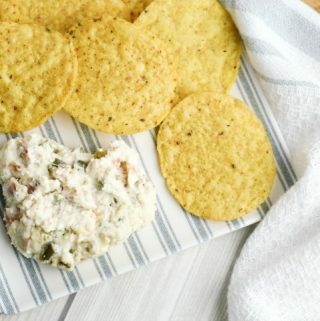 Make this jalapeño popper dip in a crockpot and serve it with tortilla chips. It’s an easy Jalapeño cream cheese bacon dip that has only 4 ingredients. Cut the top off each jalapeño and then remove the seeds and membranes using a jalapeno corer. Dice into small pieces.